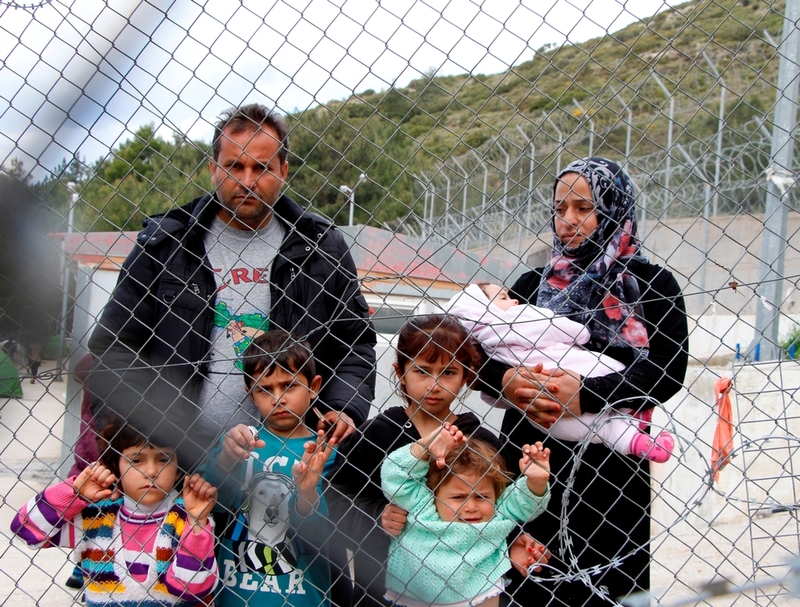 Two months following the signing of the deal between the European Union and Turkey, the situation continues to deteriorate for refugees and migrants detained on Greek islands. Médecins Sans Frontières (MSF) reiterates the abject conditions facing those held in closed detention centres and calls for the immediate opening of these so-called ‘hotspots’. Refugees and migrants landing on the Greek islands of Samos and Kos are being sent to centres which were originally set-up to process asylum applications, but are now closed centres with the only function of detaining people. Among those detained are women and infants and dozens of unaccompanied minors - for whom no specific protection measures have been arranged. A requirement that administrative detention at these locations is fixed at 25 days, is not being complied with. Beyond the inadmissible nature of these detentions, it is clear that many of the refugees and migrants who are forced to live in extremely cramped and unsafe conditions, are being held illegally. While the number of people incarcerated in some camps is now more than double than originally intended and there is no separation between men and women living in increasingly precarious conditions, the authorities continue to send more refugees and migrants to already overcrowded camps. A child from Syria holds a placard reading: 'EU, Turkey: We are not merchandise' at a camp for refugees and migrants in Idomeni, Northern Greece. According to information obtained by MSF teams on Greek islands; water and shelter is in short supply in some centres, sanitation is poorly maintained, hygiene is deplorable and food distributions are haphazard. Medical teams have also observed a considerable increase in people suffering from wounds and acute stress, caused by violence at the camps. Already heightened tensions are escalating due to overcrowding and prolonged detention. Meanwhile, refugees and migrants are given very little information by authorities and therefore have no way to plan any future options. Founded on a policy of rejection and ‘push-backs’ - the migration policy drawn up by the European Union appears to be achieving what it set out to do - purely keeping refugees and migrants 'away'. But it would appear that the cruelty of this policy is still not sufficiently harsh - as those who continue to risk their lives crossing the Aegean Sea find themselves detained in conditions that are as much deplorable as they are arbitrary. This detention only serves to aggravate the situation for refugees and migrants, who are being treated in an increasingly inhumane and degrading manner. It is both urgent and vital to ease at least some of their suffering by opening the camps and allowing people to have the choice to leave. MSF reiterates, the abject conditions of these incarcerations and calls for the immediate opening of detention centre ‘hotspots’.